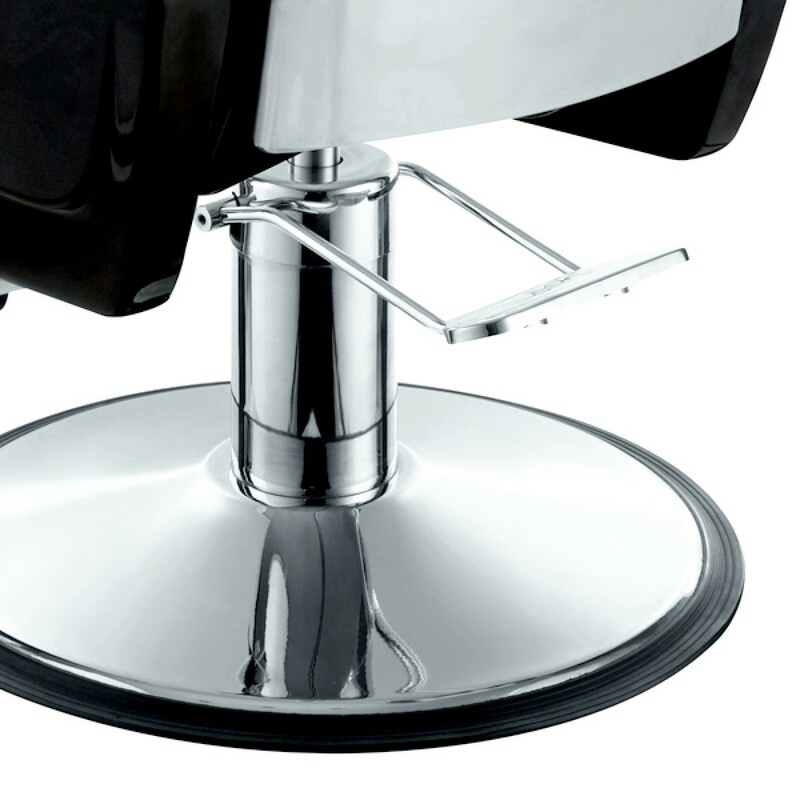 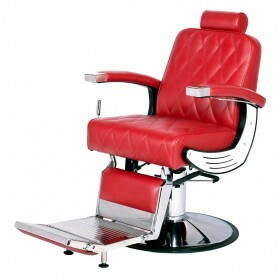 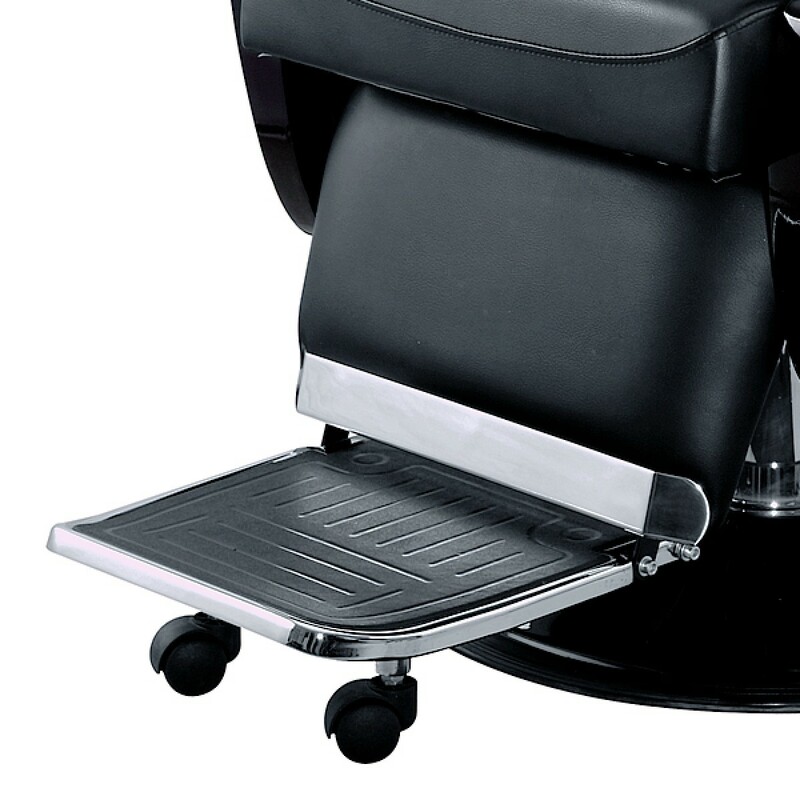 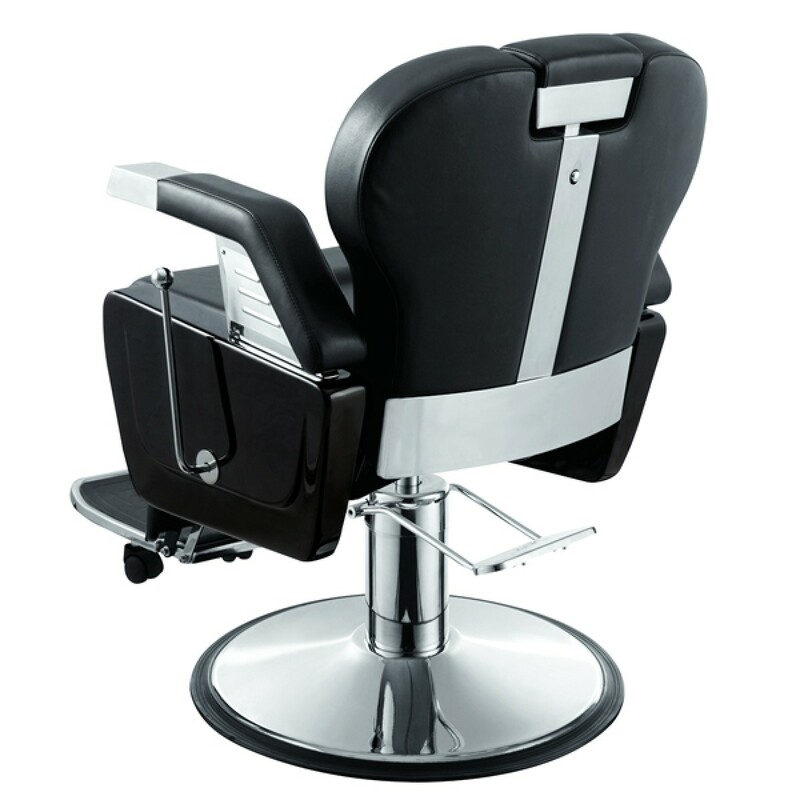 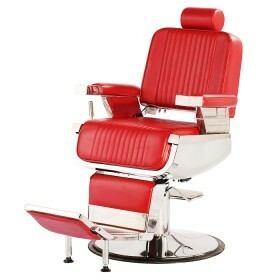 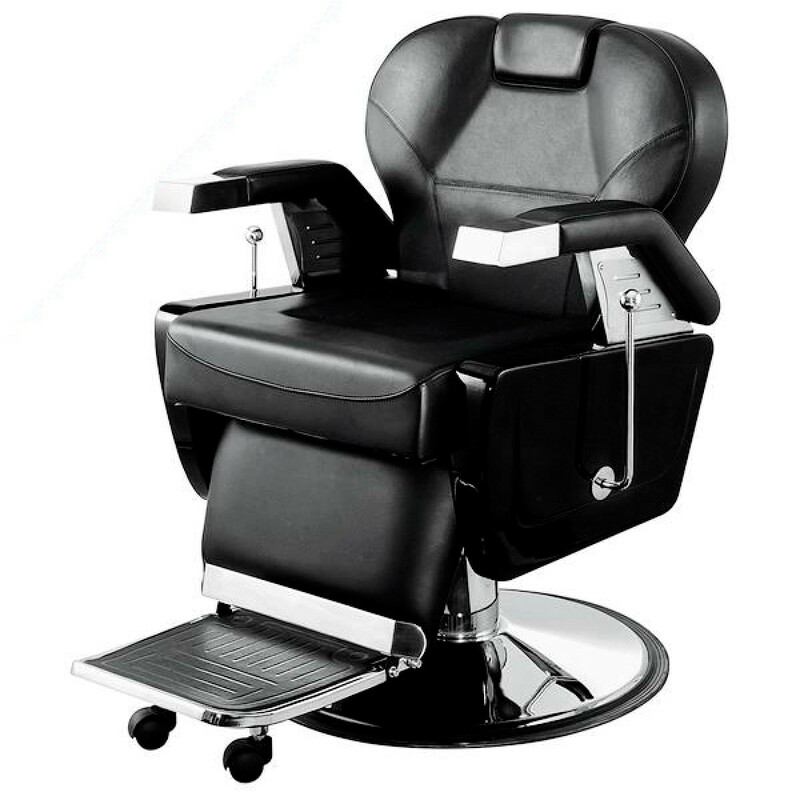 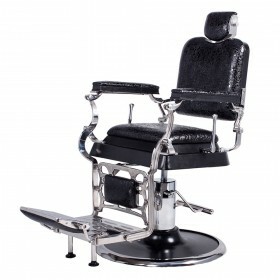 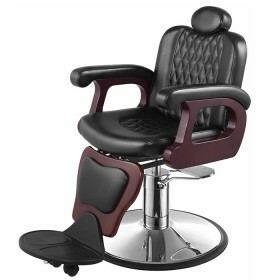 This barber chair can seat almost anyone perfect. 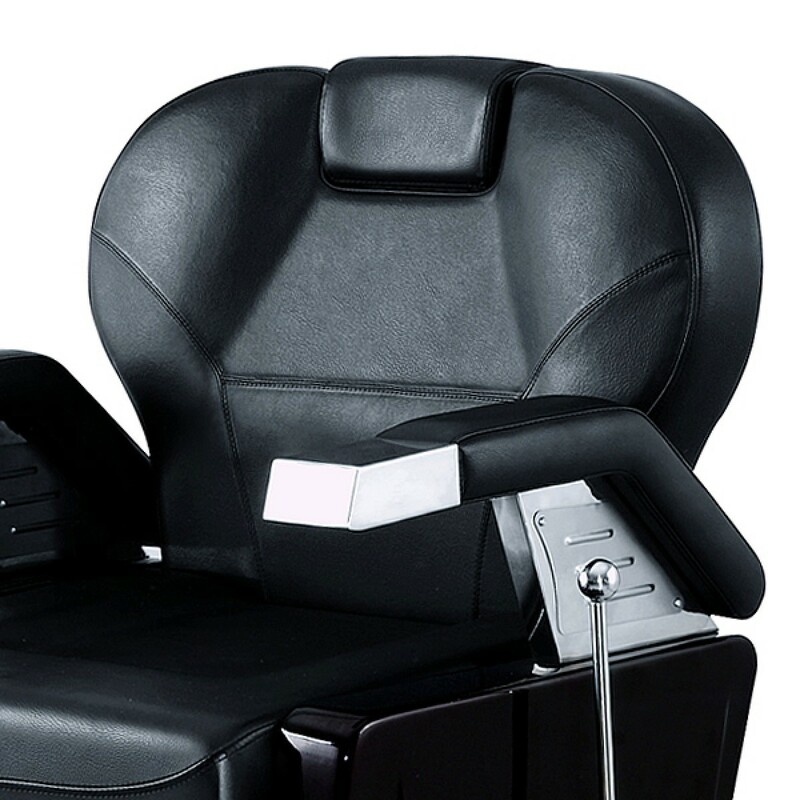 It has molded memory foam seat and back to form around the body, almost like a bucket seat in a car. 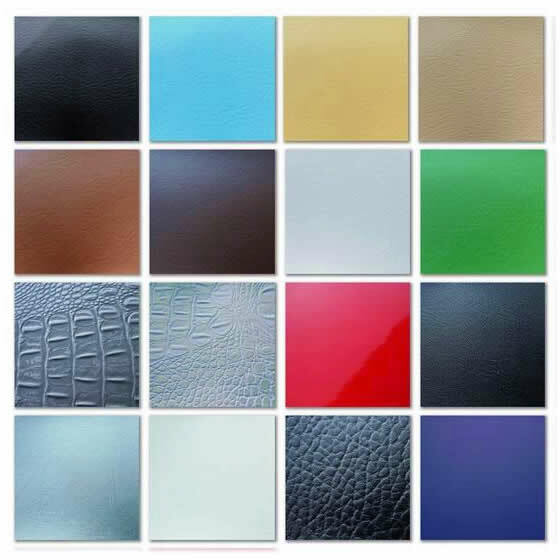 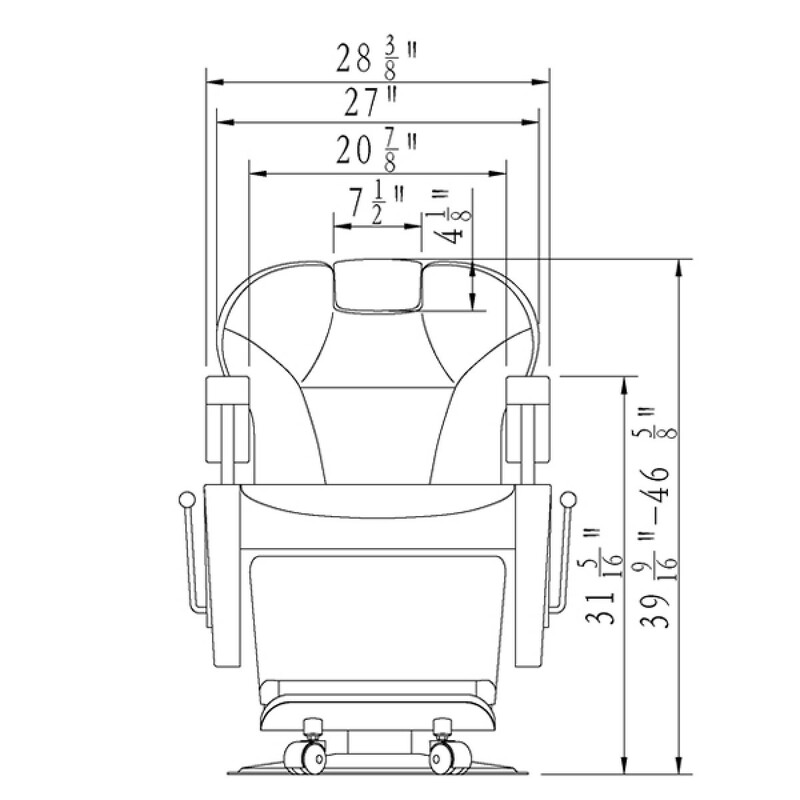 It is also wide, therefore it can seat customers comfortably without the snugged feeling. 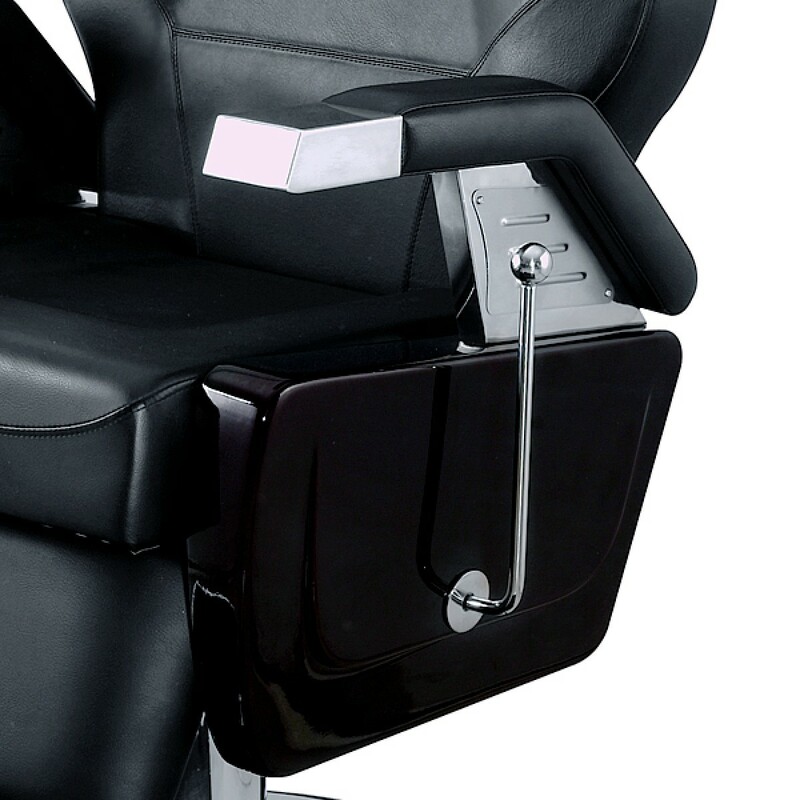 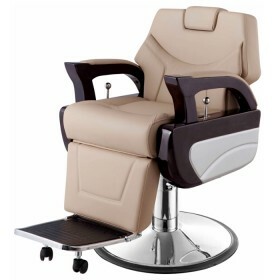 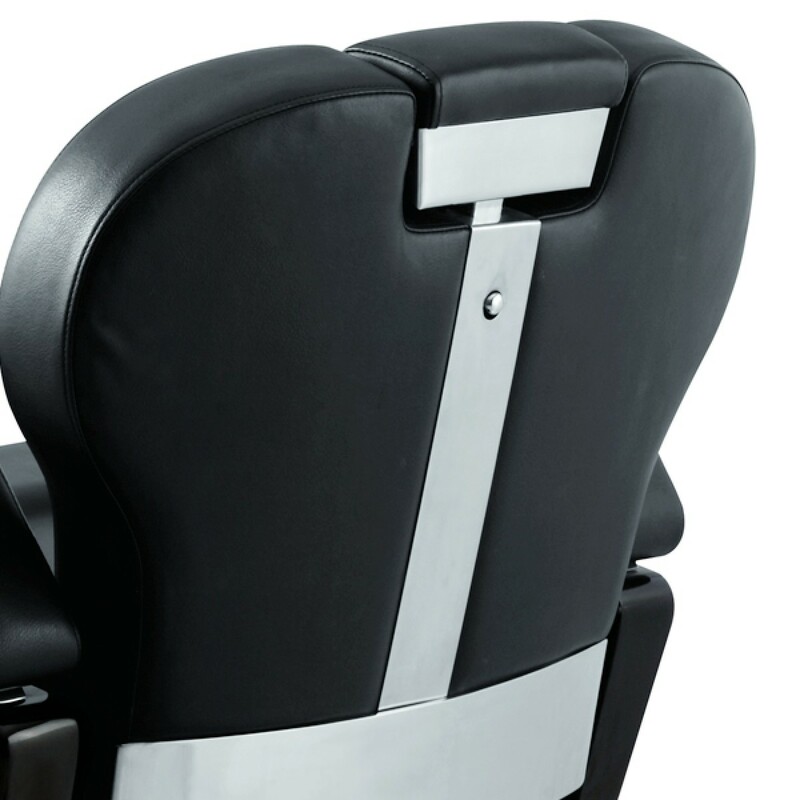 The chair could recline to a 45 degree angle and it has an adjustable headrest and a footrest plate that folds out. 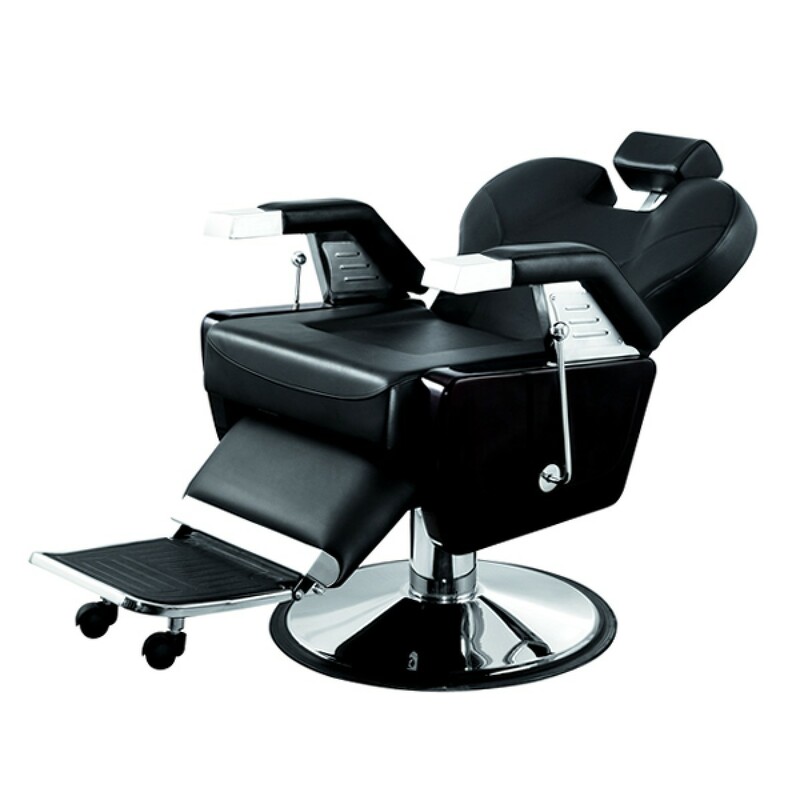 No doubt, if you are looking for a chair that provides modern style with ultra functionality, this chair is the perfect selection. 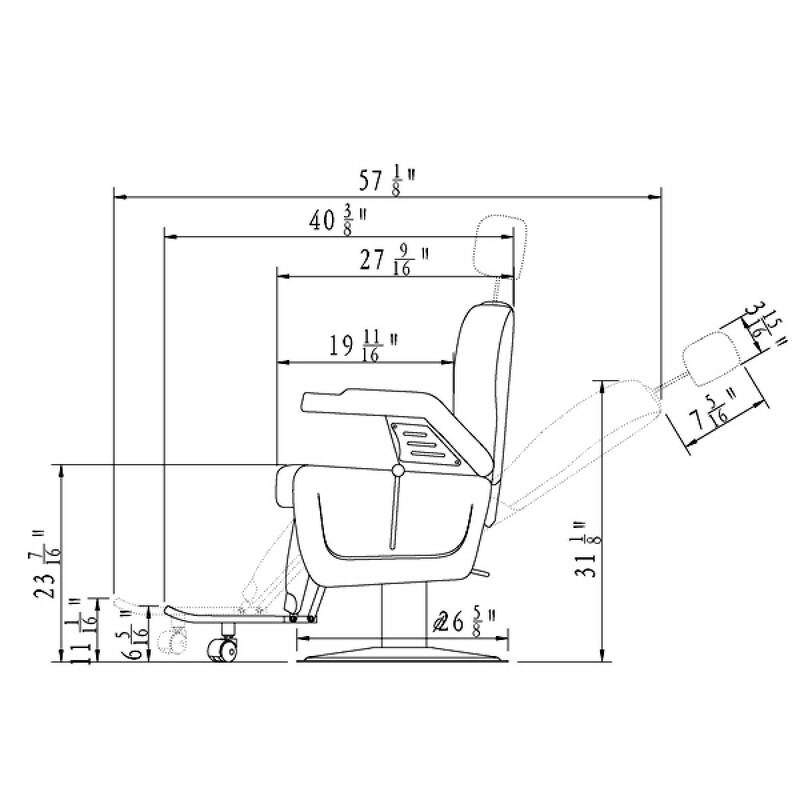 Seat to ground: 23 7/16"